IoT implementation and real-time sensor data monitoring with the cloud. IoT is the next frontier of enterprise connectivity. From manufacturing to healthcare to smart cities, IoT is bringing about a sea change in how we gather, analyze, and otherwise work with data. Let's take a look at the official definition provided by Wikipedia. In simple words, an IoT device is a micro-controller connected with a sensor, and has the capability to communicate over the internet. What’s the business value of IoT? Are you happy with Amazon's same day delivery? Say thanks to IoT devices. Yes, Amazon is using IoT integrated machines for their "Smart Warehouses". A global cleaning solutions company introduced its intelligent laundry dispensers. The system provides real-time and remote visibility into resource consumption and process automation. Energy and water consumption, chemical accuracy, machine downtime and day-to-day operational costs can be closely monitored, to prevent costly disruptions and errors within laundry operations, by using IoT devices in their machines. The IoT powered dispenser connects to any mobile device to give teams visibility of the entire wash process together with actionable insights. So, an IoT device acts as an agent that engages in physical activity of a process to gather relevant data. This information is then leveraged to ensure smooth processes, predictive maintenance, generate data-driven decisions aimed at enhancing and evolving a business process. In essence, all IoT communication models are designed to give users better access to an IoT device and its data. The device and the data collected therein is clearly a valuable resource. Adding to this, a cloud web is the most popular platform to utilize this data in real time. Besides this, a data stored on the cloud opens up possibilities like API integration, database integration, notification alerts and more. In this piece, I am going to demonstrate a Device-to-Cloud communication model using AWS and Python. Here’s a look at the basic concept involved in this communication model. I created a small web application which shows the real-time data from the IoT on the web browser, using AWS cloud. Honestly, choosing an IoT device completely depends upon your specific requirements. It’s definitely not a Raspberry Pi vs NodeMCU vs Arduino IoTdevice war. There are many other IoT devices available on the market to work with. 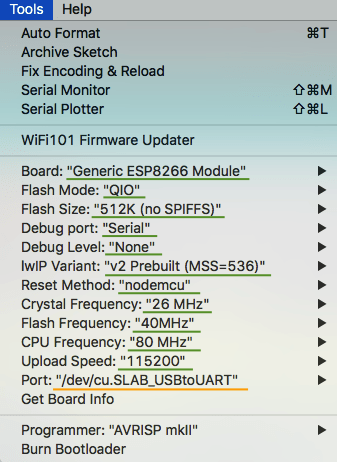 So, NodeMCU module is the best fit for our requirement. Now, let's dive into the hardware and software part of this project. Connect the NodeMCU to your computer via a "Micro USB cable" and setup Arduino IDE. Note that the port may be vary on different OS, so just find out on which port your device is connected to. Sketch -> Include Library -> Manage Library. 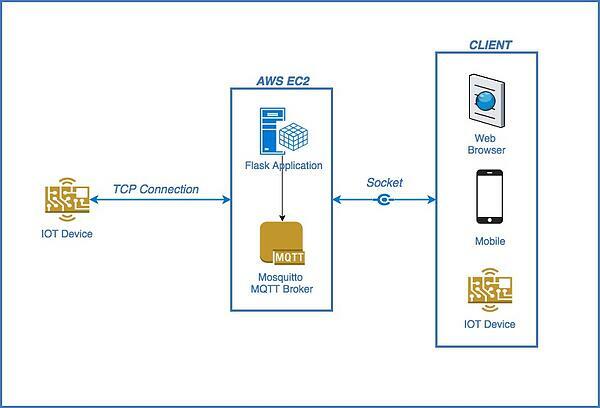 Install Configure the MQTT broker on the cloud. I am using AWS EC2 and Ubuntu 16.04LTS. Install Python Flask and use the code in this git repository. Hola! Run it on your browser by entering public IP of your EC2 instance. So there’s my two cents on how to make a web app to display data from sensor monitoring. This is, of course, my way of doing it and you can experiments with all the steps to come up with other methods to achieve these results. Do let me know how your experiments go, and if you would do anything differently.